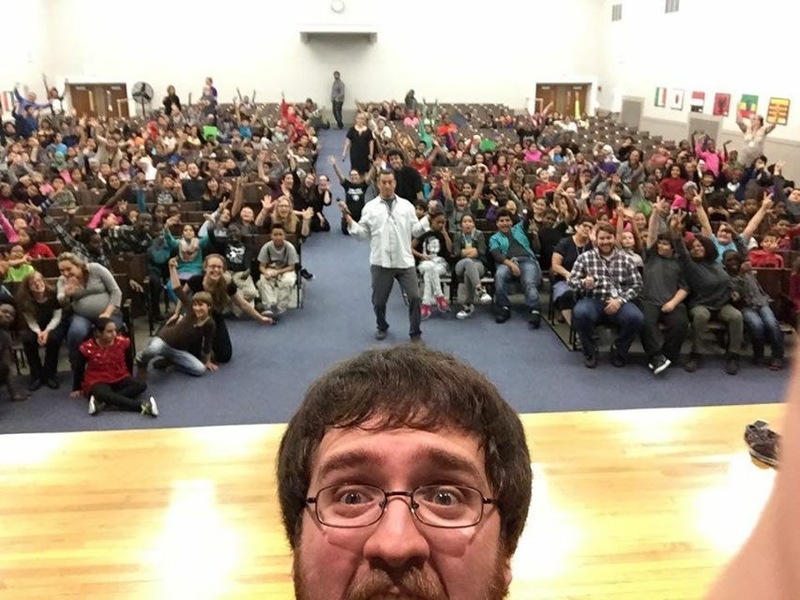 How Can Story-Based Learning Serve Your Community? AFP's performances focus on activating participants' stories because their stories matter and can make real change in the world. Positive social change only happens when people dare to stand up and tell their stories, like Anne Frank's diary that has reached millions of people. We tell stories about characters who wrestle with internal conflicts, explore identities, and learn how to connect with their communities. 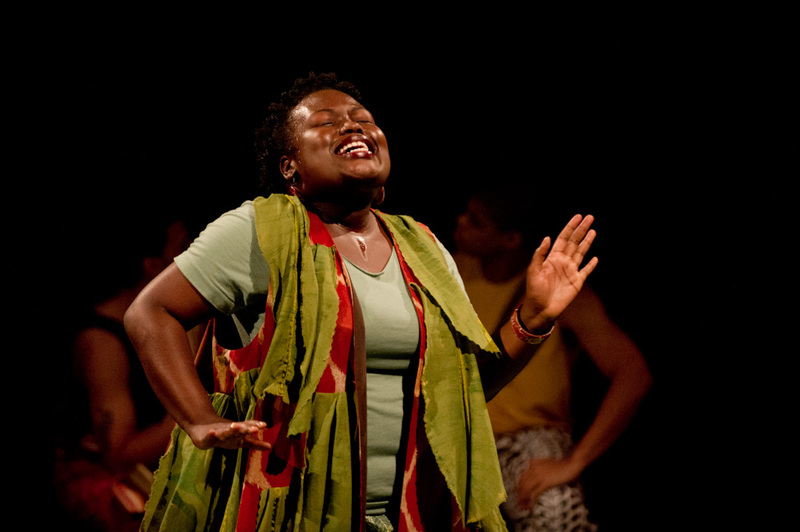 Our performances are supported by AFP’s Story-Based Learning curriculum which engage participants in the theme of the play, practicing tools and vocabulary for community building, conflict resolution, and identity exploration. 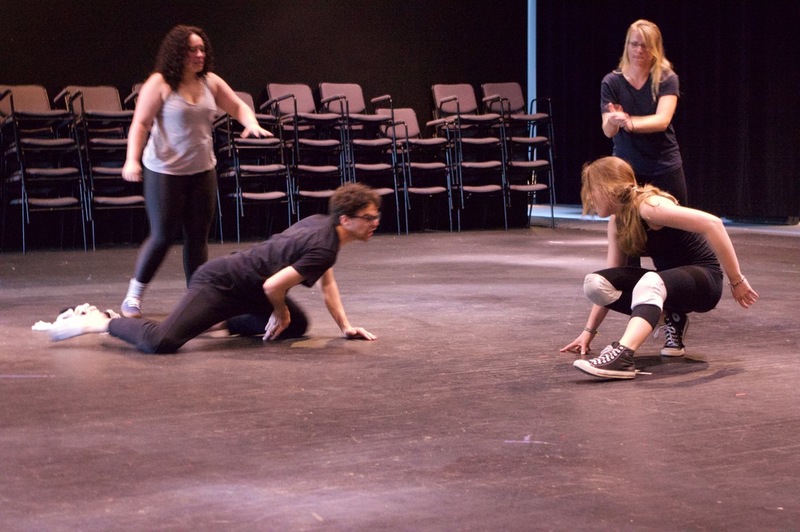 All performances are developed and performed by students in THA 470 Ensemble Theater at SUNY Buffalo State. 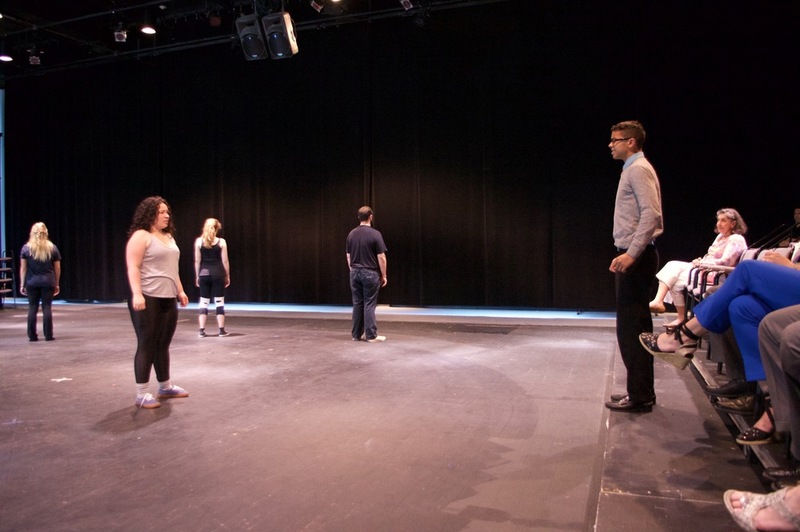 Drew Kahn, Director of AFP, teaches THA 470 Ensemble Theater, which is a designated Civic and Community Engagement course. 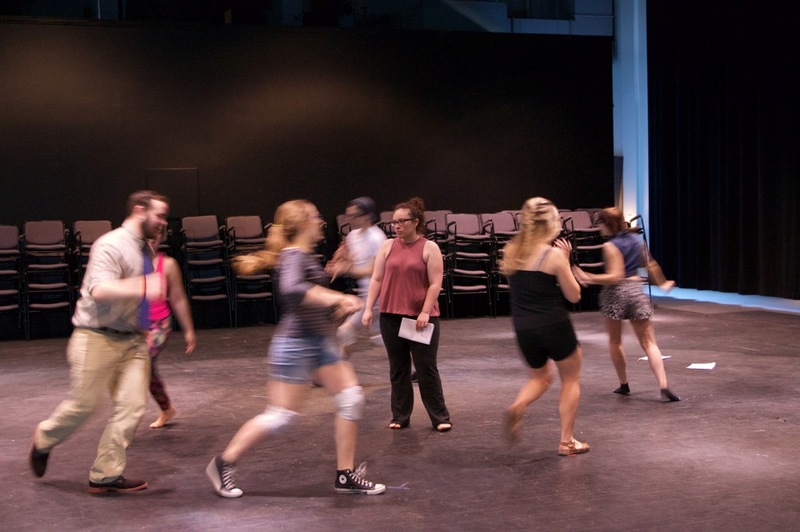 AFP is proud to parter with Buffalo State's Theater Department to teach students how to devise new plays and engage them in community-building efforts on and off campus. For more information, please email Drew Kahn. After a family tragedy, the oldest sibling, Charlie, must take on the new role of a parent while balancing a hectic work schedule. Meanwhile, the younger sibling, Perry, escapes into video games to deal with their loss, stress and grief. Fueled by their fierce independence both stubbornly refuse to need each other, until one day they are magically thrust into the video gaming world where they must decide to work together or perish. Will Charlie and Perry become warriors? Will they become a family again? Post-Performance Story-Based Learning workshop: 30-40 minutes. Cost: Free to local schools. Supported by SUNY Buffalo State. Our Spring 2019 tour is full. Please contact AFP to be added to the wait list. Thank you! Meet Alex, a young girl who lives in a future world where individual identity is forbidden, and conformity mandated. A moment of inspiration launches her into a journey through mystical lands and dangerous obstacles. Will Alex brave the unknown to claim her identity or will she surrender to the status quo? Alex learns she must embrace her struggles in order to celebrate her Self. 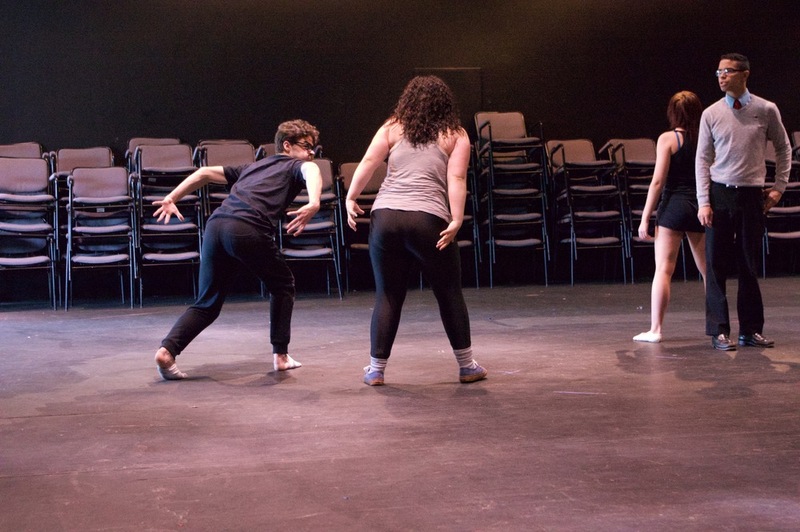 An Interactive workshop immediately follows performance focusing on identity exploration, peer pressure and social conformity. This video is a scene from MIRROR/RIRROM. Ana is transported to a childhood memory where she learns to dislike her body for the first time. Ana is a teenage girl struggling to like herself. Her home life may seem normal to outsiders, but her parents fight and they take out their frustrations on her. To cope with the pressure Ana spends a lot of time alone in her bedroom exercising and criticizing her reflection in the mirror. The self-hate speech in her head becomes a strong and trustworthy voice, leading her into a world of doubt and emotional destruction. One day when she asks her reflection "Why can't I be like everyone else?" a mischievous guide pulls her through the mirror into a transformative world. Ana's guide transports her through halls of mirrors, a playground, the circus, and finally to a wrathful sea which she must learn to traverse and learn to love her story. Produced in 2015. Shabar Rouse (Jean Pierre) in AFP's recent touring production of Dear Me. Photo credit: Bruce Fox. 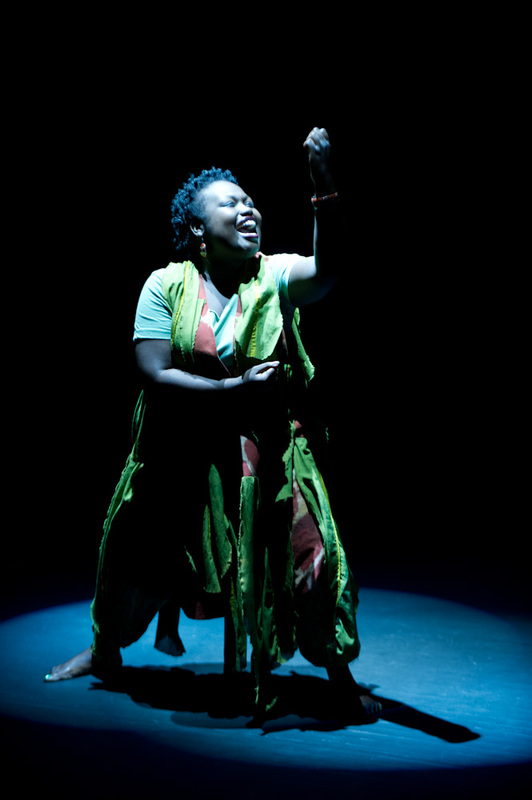 A 12 month devised theatre process that starts in Rwanda and ends in a tour for local schools and organizations. Meet Reggie, a popular high school senior who is wrestling with the disturbing reality that his childhood pal, Charlie, has just committed suicide. Ignoring Reggie’s desperate pleas, Charlie had recently come out-of-the-closet for all to know—the social impact was disastrous. After Charlie’s funeral Reggie seeks the refuge of their childhood hideout in the woods—amidst symbols of their lifelong friendship Reggie writes a letter to Charlie hoping his unspoken thoughts will somehow reach his lost friend. Reggie’s letter conjures much more than he plans for as souls from the past magically visit him to aid his journey towards self-discovery and turning loss into lessons. Produced in 2013. AFP created SHATTERED to support Buffalo State's "I Heart Consent" campaign. 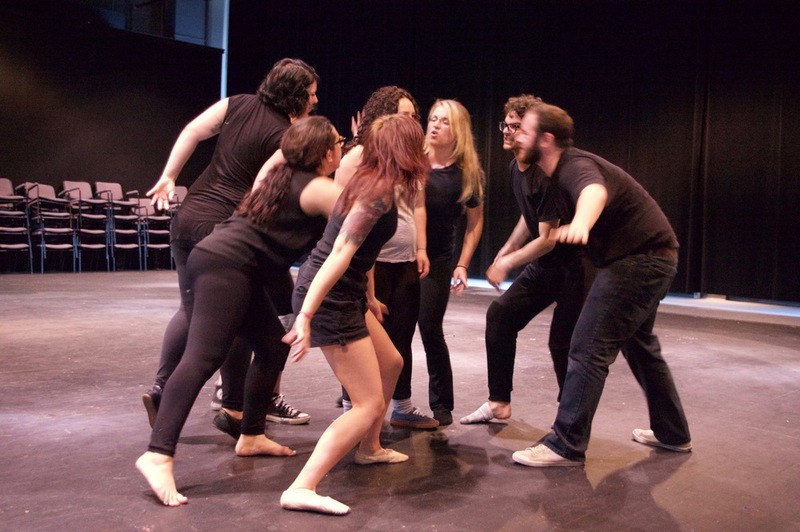 It is a play created by students for students about the grey areas of sexual consent and the media's mishandling of the stories. SHATTERED takes place at a university (or high school) championship football game where three groups of people are followed throughout a sexual consent incident: the victim, perpetrator, and bystander. As each side of the story unfolds, caricatures of masked media personalities choose a biased angle, throwing away legitimate facts, feelings, and stories of the people involved. Each scene is bookended with actual statistics of sexual assault and consent incidents in the United States which drives the audience to connect with reality, not the misconstrued media reports. The style of SHATTERED was inspired by Bertolt Brecht and Theatre of Alienation. Produced in 2014. A story about forgiveness and reconciliation in a village who has its own Griotte (shaman) on trial. Travel between her past stories and present day gacaca (traditional Rwandan judicial system) to determine whether or not she is guilty and worthy of punishment. Produced in 2012. Cost: Free to local schools in Western New York. Supported by SUNY Buffalo State. Teaching Artist, Deonna (center), facilitating a story-building workshop. 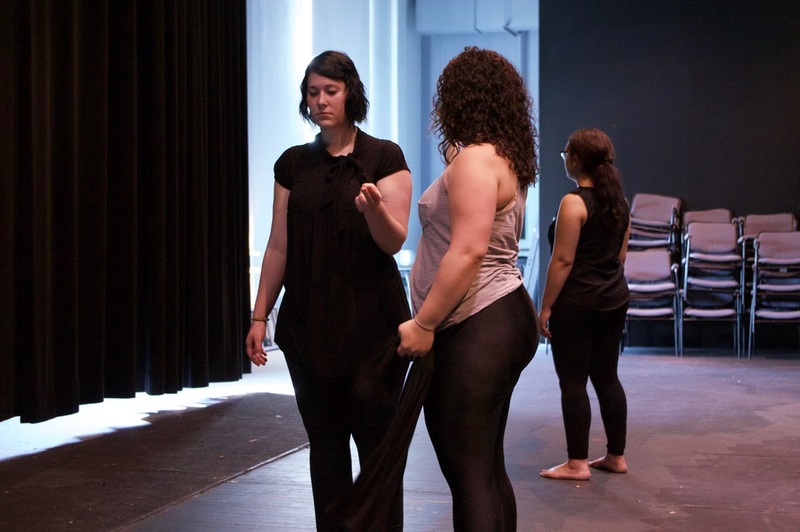 AFP Teaching Artists facilitate workshops that feature interactive, participatory exercises and games focusing on the power of story-building (theater) as a tool for collaborative conflict resolution. 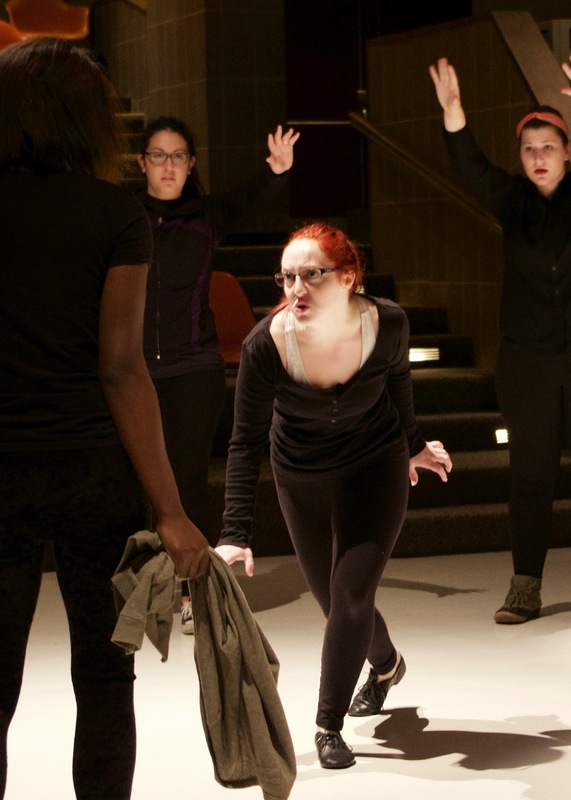 Longer workshops culminate in the student’s creation of an original performance. Structure, content, and time tailored to specific needs. Compromise and Collaboration story-building residency. BPS 45, International School. AFP Teaching Artists spend a period of 5 to 10 weeks (1 workshop a week, for 2 hours) teaching students the story-building process, which also links to their teacher's curriculum and the common core. The Director and Assistant Director meets with teachers and guidance counselors before developing curriculum to tailor the residency to the students' needs. AFP's story-building model supports and activates initiatives in organizations and businesses. Please fill out the form below for more information. Photos Below: AFP facilitates a Story-Building workshop at the annual University and College Counseling Center Conference (CCNY) at SUNY Buffalo State. Photo credit: Bruce Fox. Contact us to bring AFP to your school or organization.